Synopsis (From Goodreads): When Cora Mason wakes in a desert, she doesn’t know where she is or who put her there. As she explores, she finds an impossible mix of environments—tundra next to desert, farm next to jungle, and a strangely empty town cobbled together from different cultures—all watched over by eerie black windows. And she isn’t alone. My Thoughts: It’s been so long since I actively read for review purposes that I think I’ve forgotten how to do this. Ah well, here goes! I honestly don’t know why I picked up this book. Maybe the image of the cover on Barnes & Noble caught my eye, maybe the price was right – who knows. I don’t recall where I heard about it, so all I can say is – I bought it, I read it, and…. let’s go from there. I read this on my Nook and I have a tendency to read at lightning speed on that thing. It took a day (or, well, an afternoon and into the evening – I have kids I have to pay attention to!) to read from cover to cover, but I did just that – read it from start to finish in as close to one go as I could make it. The premise is typical of what I feel YA has trended toward in past years, but it was done in such a way as to make the story feel new, or at least refreshed. The protagonist is relatable (to an extent) and doesn’t have so many of the qualities I can’t stand in female protags. She’s strong, knows her mind, and makes her choices decisively. She’s also not wacky dependent on some strong male – although she does have a few lala goo-goo eyed moments that make me want to shake sense into her. The supporting characters are all individually interesting, and you become invested in each of them despite them not being the shining star of the show. I also approve of the diversity of the characters – they’re not all plain jane white folk doing plain jane white folk things. They’re a racially and culturally diverse mix of awesome people doing awesome things – although now that I think about it, there are some cultural stereotypes in there that may or may not be played up a little too much. I’ll have to read it again with a more critical eye to discern whether or not that’s the case. 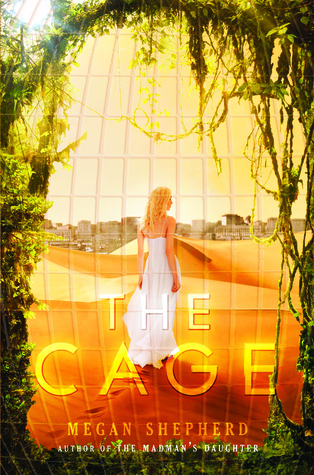 I definitely didn’t love this as much as I enjoyed The Hunger Games, but it was good, and I recommend you grab it.